Dr. Jay Erne finds orthopedic procedures particularly gratifying. 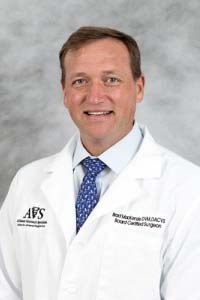 He looks forward to more options for nonsurgical management of orthopedic diseases, as well as the increasing shift towards minimally invasive procedures. 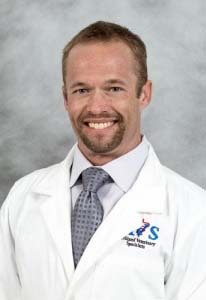 A fitness enthusiast, Dr. Erne can often be found at the gym, but he also enjoys reading and hanging out at the beach. He and his wife, also a veterinarian, have two daughters, and the family has two dogs: springer spaniel Howie and Australian shepherd Cosie. 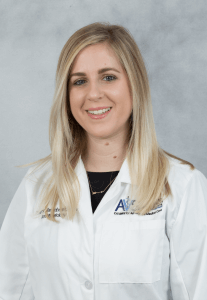 Dr. Cameron Jones loves urgent and critical care cases, and says that the more organ systems involved and fluid bags hanging, the more she enjoys the case. She also likes treating painful pets and making them more comfortable. 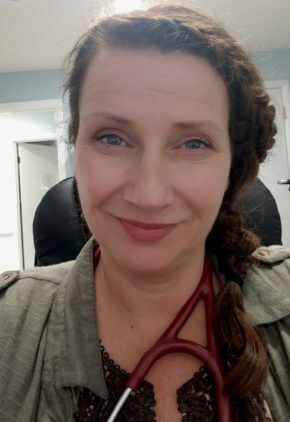 Dr. Jones has one child, two entertaining dogs, Happy and Louie, and a cat named Pharoah. She enjoys baking cakes, yoga, creative writing and bike riding on the beach. Dr. Brad Mackenzie has been a surgeon for a number of years and still enjoys the challenges of orthopedic surgeries, especially hip replacement. He looks forward to even greater advances in joint replacement surgeries in the future. Dr. Mackenzie enjoys going to the beach, playing golf, and spending time with his wife, daughter and twin boys. The family has two pets: Palmer is a golden retriever, and Maggie is a mixed breed. 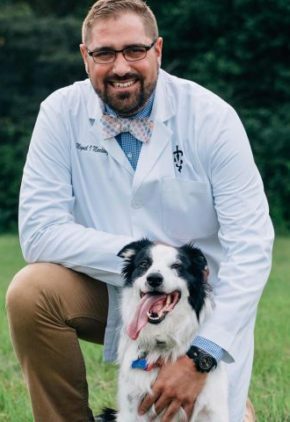 With his master’s degree in biology, Dr. Miguel Isaac Martinez taught high school science for a year before vet school. He finds it gratifying to be able to work in emergency and critical care because he is able to assist families and their pets during some of the most difficult times. Dr. Martinez volunteers his time with community outreach and youth mentoring. An outdoor lover, he enjoys the beach, mountain biking and attending sporting events. He also likes to cook. Skilled in all aspects of emergency medicine, Dr. Kristen O’Connell enjoys treating any ophthalmic condition. Dr. O’Connell enjoys staying physically fit, reading fiction and gardening. She and her husband have two Yorkshire terriers, Mousse and Macaroon, and two cats, Mahi and Meow Kitty. Dr. Sharon Tenenbaum’s professional interests focus on acute and chronic pain management. She has also done research focused on using minimally invasive techniques to measure cardiac output in canine patients. Procedures Dr. Tenenbaum finds particularly rewarding include exploratory laparotomies (liver lobectomy, pheochromocytoma, septic patients), thoracotomies, and other procedures in which the patient has underlying cardiac or endocrine disease. Dr. Tenenbaum enjoys hiking and kayaking. Other favorite pastimes include cooking, music and interior design. After moving around her entire childhood, living in three different countries, it’s no surprise that she also enjoys traveling. She and her husband have two dogs: Sierra is a shepherd mix, and Chewie is a poodle/terrier mix. Dr. Kimberly Voisine particularly enjoys performing ultrasounds, echocardiograms and endoscopies. Her clinical interests include cardiology, endocrinology and gastroenterology. Dr. Voisine enjoys being a spectator for almost all sports, especially college basketball, college and professional football, professional hockey and golf. She and her husband have a daughter, and three rescued pets, mixed breed rescue dog Chloe, and cats Ollie and Bentley.